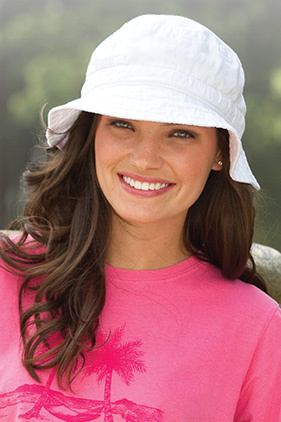 Crushable bucket style hat, 100% cotton twill. Pigment-dyed, garment washed. Sewn eyelets.